Have you ever been blown away by God’s faithfulness? That’s where I currently find myself. About five years ago, God supernaturally birthed a book in my spirit — Dealing with the Root of Rejection. The title of the book came so clear and precisely that I knew, without a doubt, it was my Heavenly Father speaking to me. Shortly after I had received this revelation, God put me on a journey of major healing and rooting out of all the junk and unhealthy behavior patterns that were hidden deep within me. In all honesty, this was such a painful process. But God, in His love and faithfulness, had my best interest in mind all along — and He never left my side. While we are on the “potter’s wheel,” it can be so painful that it’s hard to see the gold that’s being produced in us. Looking back, I can see that the pruning seasons were so necessary, because it has shaped me and molded me into the person God desired me to be and brought about His plans and purposes for my life. I had not only said yes to writing a book, but I had said yes to His calling for my life. Let me encourage you — Has God placed a dream or desire on your heart that seems impossible to attain? Partner with Him, be diligent and faithful with what he has put on your heart to do, and watch in amazement as He works on your behalf. “With man this is impossible, but with God all things are possible” (Matthew 19:26 NIV). We definitely serve a faithful God! This entry was posted in Angie's Posts and tagged Bible, encouragement, faith, faithfulness, God, inspirational, Jesus. AMEN, ANGIE! SO PROUD OF YOU AND SO EXCITED FOR YOU!! GOD IS GOOD AND FAITHFUL! 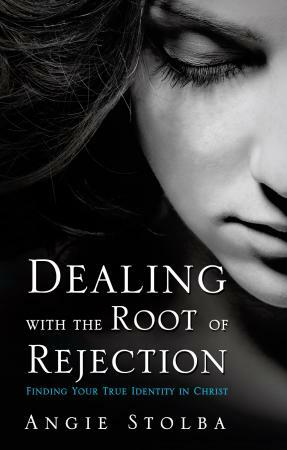 Angie Stolba’s book, Dealing with the Root of Rejection, is a MUST READ!! Thank you Jen!!!! God is good!